I am not familar with most of these wrestlers, so we’ll see how this goes. It is baby Omukai! 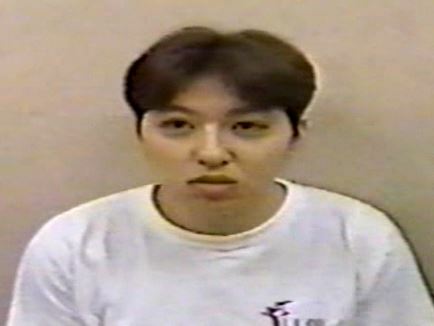 After starting in AJW, Omukai joined LLPW in 1993 where she stayed until 1997. She was only 19 at the time of this match so still very early in her career, course she ended up being one of the stars of ARSION down the road and having a very solid career. Kitamura had a much shorter career, as she debuted in 1989 but retired in 1994, never really progressing up the card. She also wrestled a few matches in WCW, including having a match at WCW WrestleWar 1991 wrestling as Mami Kitamura. We join this match in progress, with both wrestlers on the mat as Kitamura puts Omukai in a figure four leglock. Omukai gets to the ropes to force the break, Kitamura picks her up but Omukai slaps her. Crab hold by Omukai, she releases the hold and dropkicks Kitamura, sending her out of the ring. Takako Panic by Omukai off the apron, she waits for Kitamura to return to the ring and hits a Northern Lights Suplex for two. Omukai goes up to the top turnbuckle but Kitamura joins her, Omukai jumps over her back and applies a sunset flip for two. Omukai goes back up top and this time delivers another Takako Panic, she quickly goes up again and this time hits a missile dropkick. One last Takako Panic by Omukai, and she picks up the three count! Michiko Omukai is your winner. This was way too clipped to rate, but it is interesting that the much less experienced Omukai had her way with Kitamura, which shows that even at this point she had already passed Kitamura in the pecking order. Some nice diving moves by Omukai, but mostly just fun to see her wrestling at such a young age. Next up is a match between two wrestlers I know very little about. Yukari also wrestled as Yukari Osawa, she started in JWP in 1986 before joining LLPW when the promotion was formed. She retired quietly, as she wrestled in 1996 before disappearing soon thereafter. She never won any titles and was mostly just a midcarder, someone easily lost in the shuffle. 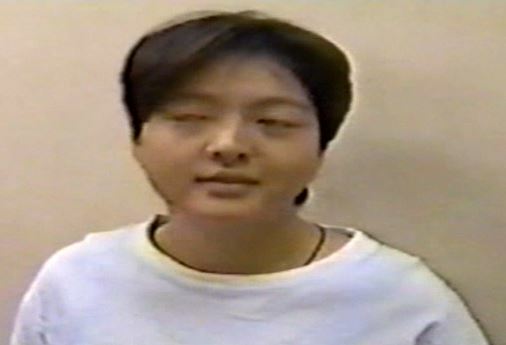 Nagashima had a slightly better career, she debuted in 1989 and retired in 1998. She held one title in her career, the LLPW 6-Woman Tag Titles with Shark Tsuchiya and Eagle Sawai. Both of these wrestlers flew under the radar for the bulk of their careers but they were mainstays in the LLPW midcard for much of the promotion’s early years. Nagashima immediately throws down Yukari by the hair and chokes her, but Yukari tosses down Nagashima and kicks her repeatedly in the corner. Yukari bounces Nagashima off the ropes and kicks her in the chest, scoop slam by Yukari but Nagashima switches positions with her and applies an…. abdominal claw it appears. Crab hold by Nagashima and she stretches Yukari, but Yukari applies a short armbar. Irish whip by Nagashima and she hits a dropkick, cover by Nagashima but it gets two. Nagashima picks up Yukari and twists her arm in the top rope, snapmares by Nagashima and she rakes Yukari in the back. Bodyscissors by Nagashima but Yukari gets into the ropes, sidewalk slam by Yukari and she hits a vertical suplex. Yukari stretches Nagashima in the ropes and hits a backdrop suplex, single leg crab hold by Yukari but Nagashima gets out of it. Scoop slam by Yukari, she gets on the second turnbuckle and she hits a missile dropkick. Irish whip by Yukari but Nagashima reverses it and applies a backslide. Dropkick by Nagashima, Yukari falls out of the ring but Nagashima goes out after her and slams her onto the floor. Nagashima goes up top and dives out onto Yukari with a plancha, Nagashima gets a chair and she hits Yukari with it. They get back in the ring as Nagashima continues hitting Yukari with the chair, scoop slam by Nagashima and she covers Yukari for two. Nagashima gets on the second turnbuckle and hits a missile dropkick, she gets up again and hits a second missile dropkick before hitting a backdrop suplex for a two count. Nagashima picks up Yukari and throws her down by the hair, armlock by Nagashima and she hits a jumping crossbody for two. Yukari comes back with a hip attack in the corner and kicks Nagashima repeatedly, high kick by Yukari and she kicks her some more. High kick by Yukari, she picks up Nagashima but Nagashima rolls her up for two. Another roll-up gets the same result, she goes for a crossbody but Yukari ducks it. Capture suplex by Yukari, but Nagashima hits a cross-arm suplex hold. High kick by Yukari, Nagashima goes for a crossbody but Yukari ducks it. Yukari gets Nagashima on her shoulders and slams her onto the mat for the three count! Jenn Yukari is the winner. This was an interesting match, as it was chock full of action but didn’t have an awful lot of substance. They really didn’t bother with transitions, as much of it was the two wrestlers taking turns doing offense to each other with neither having a real sustained run before the other took back over. There were a lot of big moves and the crowd enjoyed it though, and the back-and-forth was smooth. Overall it was good, it just needed a bit of structure to tie the offense together. At least I have seen one of these wrestlers before. Mizuki Endo is still very active, although she is better known as Eiger, and is still affiliated with LLPW after all these years even though she wrestles in other promotions as well. 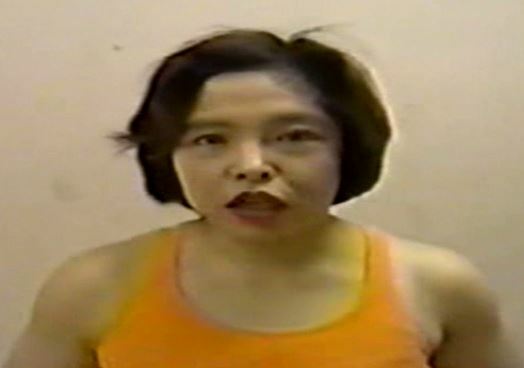 Midori had a long career that spanned from 1989 to 2002, at this stage she hadn’t won any titles but would later win both the tag championship and the LLPW Singles Championship. On the other team, Handa was a LLPW lifer and won one title, which was the tag championship with her partner on this event, Yasha Kurenai. 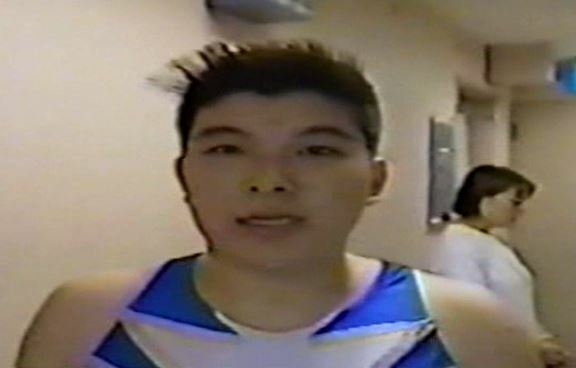 Yasha also won the All Pacific Championship in her career, defeating Kumiko Maekawa for it in in 1998. All four of these wrestlers weren’t young but still were growing…. solid midcard wrestlers but they hadn’t done anything too special up to this point. Endo attacks Kurenai from behind and hits a hard elbow, scoop slam by Endo and she tags in Midori. Kurenai knees Midori but Midori comes back with a kick, Kurenai stretches Midori in the ropes and tags in Handa. Handa suplexes Midori as she and Kurenai go back and forth working over Midori, Midori finally hits a crossbody on Handa and makes the tag to Endo. Handa and Endo trade elbows, Endo wins the battle but Handa rolls her up for two. Suplex by Handa and she tags Kurenai, Kurenai jumps down on Endo and chokes her on the mat. Handa hits a diving crossbody on Endo but Endo elbows her the corner and applies a camel clutch. Endo lets go and tags in Midori, crossbody by Midori to Handa and she hits a series of dropkicks. Figure Four by Midori and she knocks Handa out of the ring, where she continues working on the leg. Midori returns with Handa slowly following, but Handa drags Midori to her corner and tags in Kurenai. Kurenai chokes Midori, scoop slam by Kurenai and she hits a leg drop. Running kicks by Kurenai but Midori manages to tag in Endo, Kurenai rolls Endo to the mat and applies a guillotine choke. Endo gets out of it and kicks Kurenai in the leg, Endo jumps down on Kurenai’s leg before tagging Midori back in. Figure four by Midori, she picks up Kurenai but Kurenai hits a Stun Gun. Kurenai gets a stick and hits Midori with it, however Midori hits a dropkick. Kurenai beats down Midori and hits the referee too just for good measure, Midori snaps off a DDT and goes up top to hit a missile dropkick. Endo comes in and lariats Kurenai from behind, scoop slam by Midori to Kurenai and Endo hits a reverse splash for a two count. Midori holds Kurenai but Endo lariats her by accident, Kurenai tags in Handa but Endo slams her to the mat and tags Midori. Midori dives off the top turnbuckle to go for a crossbody but Handa catches her and hits a bridging pin for two. Vertical suplexes by Handa, she picks up Midori and hits a fisherman suplex hold for two. Kurenai goes up top and with Handa hits an assisted chokeslam, cover by Handa but Midori barely gets a shoulder up. Midori sneaks in a roll-up but Kurenai kicks her in the head, Handa tags in Kurenai and Kurenai hits a chokeslam for two. Kurenai goes for a lariat but Midori moves and hits rolling Germans, but Handa breaks up the last one to prevent the pinfall. Midori picks up Kurenai and hits the Chaos Theory, but Kurenai kicks out. Handa comes in and boots Midori, backdrop suplex by Kurenai and she covers Midori for a two count. Kurenai picks up Midori and nails the chokeslam, and this time she picks up the three count! Miki Handa and Yasha Kurenai are your winners. Business is about to pick up, anytime Sawai and Saito are in a match someone is bound to get hurt. 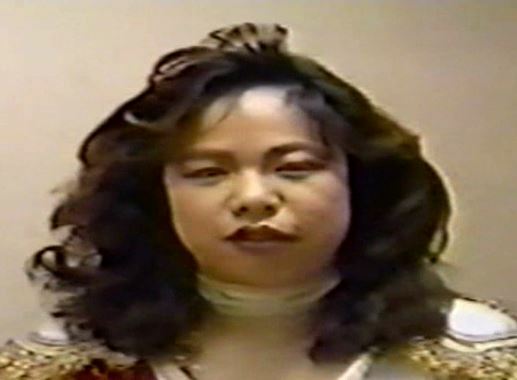 Eagle Sawai started her career in JWP but joined LLPW when it started up in 1992. She was quickly pushed as their top young talent, for better or worse, and was a mainstay on the big inter-promotional events. At this point in her career she hadn’t won any titles in LLPW, however she would go on to win the Singles Championship four times. Harley Saito followed the same path and was also a big part of the promotion, she won the LLPW Singles Championship twice in her career. 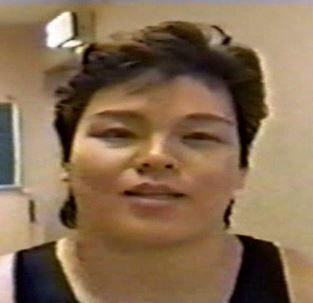 On the other team, Kazama never reached the heights of Sawai or Saito during LLPW’s peak years, however she also won two LLPW Singles Championships with her first coming in 2001. 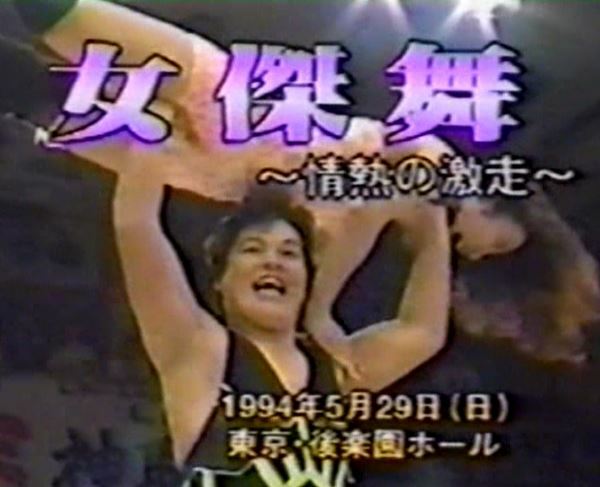 Finally, Tateno is the most experienced wrestler in the match as she won her first title back in 1984 and was half of the popular Jumping Bomb Angels in AJW. She joined LLPW in 1992, and won the LLPW Singles Championship later in 1994. That big introduction is to say – all four of these women went on to win the LLPW Singles Championship and were important parts of the promotion during its successful early run. Kazama and Sawai immediately go at it, Kazama has the early advantage until Sawai gives her a hard lariat. Another one by Sawai, Saito comes in and she kicks Kazama repeatedly. Kazama returns the favor with her own kicks and tags in Tateno, running kicks by Tateno but Saito sneaks in a roll-up and the two end up on the mat. Tateno tags Kazama and she picks up where Tateno left off, but Saito soon gets the advantage and hits a snap vertical suplex before tagging Sawai. Sawai goes for a powerbomb but Kazama reverses it with a hurricanrana. Kazama tags Tateno but Sawai quickly hits Tateno with a body block, diving crossbody off the top by Saito and she covers Tateno for two. Heel kick by Saito and she applies a sleeper, Tateno bites her hand to get out of it and armdrags Saito before biting her again. She tags in Kazama who keeps working on Saito’s bitten arm, but Saito reverses positions with her and starts working on Kazama’s leg. Sawai is tagged in and she targets the leg as well, as the pair goes back and forth on Kazama’s leg. Kazama finally avoids Sawai in the corner and makes the hot tag to Tateno, shoulderblock by Tateno to Sawai and she hits a double underhook suplex. Tateno puts Sawai in a chinlock, Kazama returns and she kicks Sawai repeatedly before covering her for two. Irish whip by Kazama but Sawai hits a bodyblock, lariat by Sawai and she delivers a third but Tateno breaks up the cover. Sawai tags Saito, heel kick by Saito and she covers Kazama but the referee is MIA. Saito picks up Kazama but Kazama catches a kick and hits a fisherman suplex hold for two. Saito goes for a backdrop suplex but Kazama lands on her feet, Saito hits a German suplex hold anyway before tagging in Sawai. Sawai goes up top but missile dropkicks Saito by accident, jumping lariat by Tateno to Sawai but Sawai lariats both of her opponents. Sawai grabs Kazama but Kazama slides down her back and applies a sunset flip for two. Powerbomb by Sawai, but Tateno breaks up the pin. She goes for another one but Kazama slides away, Tateno runs in and dropkicks Sawai which helps Kazama connect with a German suplex. Things break down as Saito tosses Kazama out of the ring but misses with a pescado, Sawai and Tateno exit the ring as well as all four brawl around the floor. Tateno and Kazama return to the ring to wait for their opponents, Saito tries to return with a chair but the referee stops her. Meanwhile, Sawai sneaks in the ring and hits both Kazama and Tateno with chairs before she hits a lariat on Tateno. Sawai picks up both of them but they drop her with a double lariat before dumping Sawai out of the ring. Kazama goes up top and dives down onto Saito with a plancha, while Tateno hits a tope suicida onto Sawai. Kazama slams Saito onto the floor while Tateno hits Sawai with a chair, Kazama gets a table and slams Saito into it before putting both Saito and the table into the ring. Tateno sets up the table in the corner and they throw Saito into it repeatedly, Tateno picks up Saito and they nail a kneeling spike piledriver onto the flat table. By now the referee has seen enough and the team of Kazama and Tateno are disqualified. Your winners are Eagle Sawai and Harley Saito. This is one of the last matches of Hozumi’s career, although its understandable if you don’t recognize the name. 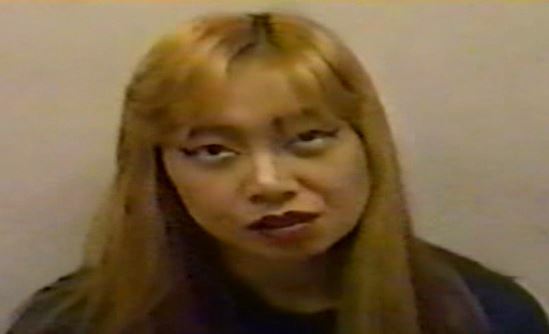 Hozumi started in JWP and joined LLPW in 1992 when the promotion was formed, but she never accomplished much as she didn’t win any titles nor did she have any big wins. While she may have developed into more later in her career, we will never know for sure as she retired young. She teams with Ishinriki, he was a WAR wrestler at the time and held the UWA World Middleweight Championship in early 1994. They are against the ace and hero of LLPW, Shinobu Kandori, the leader of the promotion both behind the camera and in front of it. 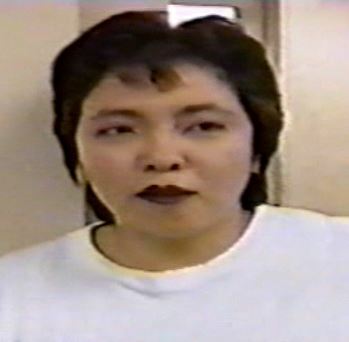 As if that wasn’t bad enough, she brought in one of the top submission artists and toughest wrestlers of the 90s to team with her, Yoshiaki Fujiwara. These teams are terribly mismatched, but hopefully Ishinriki and Hozumi will be able to keep up. The men kick things off, single leg takedown by Ishinriki and he applies a crab hold while Hozumi helps him apply pressure. Double dropkick to Fujiwara but Fujiwara puts Ishinriki in a Fujiwara Armbar, Hozumi breaks it up which just pisses Fujiwara off but Ishinriki puts him in a sleeper from behind. 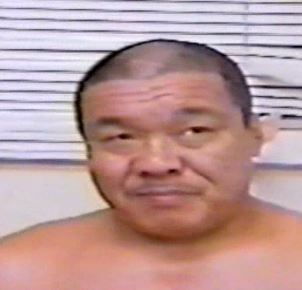 Fujiwara gets out of it and slaps Ishinriki in the corner but Ishinriki puts him in a chinlock. Fujiwara gets out of it and headbutts Ishinriki, he tags in Kandori and they both headbutt Ishinriki to the mat. Ishinriki tags in Hozumi, Kandori huddles with Hozumi and Hozumi charges in to attack Kandori, but Kandori moves and Hozumi hits Fujiwara. Fujiwara looks mad but he stays on the apron while Hozumi hits a pair of seated sentons on Kandori, but Kandori knocks Hozumi into the corner while Fujiwara comes into the ring so they can hit a double headbutt. Kandori picks up Hozumi and drops her with a military press before flipping off Ishinriki. Camel Clutch by Kandori but Hozumi bites her hand, stomps by Hozumi and she puts Kandori in a single leg crab hold. Fujiwara comes in but Hozumi breaks off the hold before he gets to her and tags in Ishinriki. Kandori checks with Fujiwara for advice and circles with Ishinriki, but Hozumi grabs Kandori from the apron which gives Ishinriki a chance to kick Kandori a few times in the stomach. Kandori rolls out of the ring, Fujiwara comes in to take her place as Hozumi is tagged in. 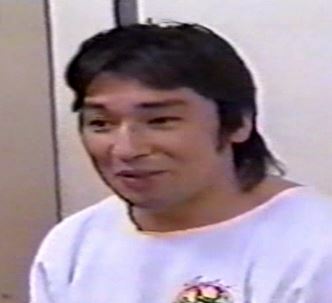 Hozumi pushes Fujiwara into the corner and hits a few slaps and elbows while Ishinriki holds him, but Fujiwara absorbs the blows and elbows Ishinriki off of him. Fujiwara grabs Hozumi but politely tags in Kandori, takedown by Kandori and she covers Hozumi for two. Scorpion Deathlock by Kandori but Hozumi is in the ropes and is able to force the break. Kandori throws Hozumi in her corner so that Ishinriki can tag in, Fujiwara tags in too and the pair trade slaps. Headbutt by Fujiwara, Hozumi tries to help by holding Fujiwara but Ishinriki elbows Hozumi off the apron by accident. Fujiwara tags Kandori while Hozumi is also tagged in, Kandori knocks Hozumi against the ropes but Hozumi comes back with slaps. Elbows by Hozumi but Kandori levels her with a hard lariat, picking up a two count. Fujiwara holds Hozumi but Hozumi ducks when Kandori charges in, so she ends up hitting Fujiwara. Kandori and Fujiwara have a debate while Hozumi recovers and hits a crossbody onto Kandori. Sleeper by Hozumi but Kandori quickly gets into the ropes, Fujiwara Armbar attempt by Hozumi but Kandori blocks it so Hozumi hits a backdrop suplex instead. HozFumi goes up top while Ishinriki comes in, and they hit Kandori with the Rocket Launcher. Hozumi goes up top again and hits a missile dropkick, jumping seated senton bfy Hozumi but Kandori catches her when she goes for a second one and hits a powerbomb. Kandori picks up Hozumi and hits a Tiger Driver, but the referee stops the count I think when Fujiwara runs in. Kandori picks up Hozumi and goes for a second one, but Hozumi reverses it with a sunset flip. Kandori rolls through the pin attempt and puts Hozumi in a cross kneelock, and Hozumi quickly taps out! Yoshiaki Fujiwara and Shinobu Kandori are the winners. The only enjoyable thing about this match was seeing how much fun Kandori and Fujiwara were having. Fujiwara trained Kandori, and Kandori was clearly over the top excited to be teaming with him. I’ve never seen her so happy in my life. There was really nothing to the match, they were just goofing off for most of it as the teams were so uneven there wasn’t much they could do. Hozumi’s interactions with Fujiwara with amusing, as Fujiwara didn’t even feel comfortable fighting her due to their size difference. Then the ending was extremely sudden, as Hozumi’s leg hadn’t been bothered the entire match but she tapped out to a kneelock in about two seconds. It was fun to see Kandori so excited and Hozumi’s tactics to avoid getting hurt, but overall not the best main event. The show was moving along at a very solid pace with nothing bad on it until they reached the main event. On paper, Kandori teaming with Fujiwara sounds amazing and I am sure it could be, but it was such a big mismatch that they could do nothing with it. Hozumi was in the main event as it was just 10 days before she retired, but it negatively impacted the match quality quite a bit. The mid-card tag matches were good but not good enough to save the show as a whole. Overall a decent show with some fun action but nothing more than that, as the main event was too flat to recommend the show.